The 146-year-old Bank of Stockton is the oldest bank in California, but has long been a market leader in adopting new technologies to deliver improved customer convenience and service. 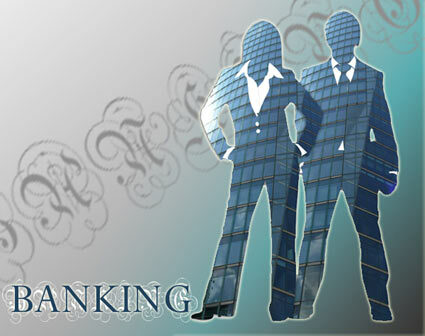 The bank was the first in its market to offer electronic banking, Internet banking and now mobile banking services. The bank’s latest technology initiative is a virtual desktop infrastructure project powered by hybrid storage arrays from Tegile Systems. Bank of Stockton has 16 branches spread across seven counties in the San Joaquin Valley of Central California and beyond. According to Vincent Lo, vice president, applications and support, when a physical desktop computer user has a problem it can take up to two hours for a technician to get the to branch site. To solve the problem of managing, troubleshooting and repairing distributed desktop computers, Lo and his team launched a virtual desktop infrastructure (VDI) initiative at the bank to centralize administration of desktop computers installed at its branches. The initial VDI rollout included 80 virtualized desktops running VMware View hosted on Network Appliance 3140 arrays with a maximum rating of 6000 IOPS. The VDI instances were split across the bank’s headquarters facility in Stockton and a disaster recovery site in Sacramento. Lo on a search for a storage upgrade that could deliver the IOPS to keep up with the VDI requirements. Lo was considering proposals from NetApp, HP and Nimble Storage when his colleagues at the nearby University of the Pacific recommended Tegile. Bank of Stockton has close ties with UOP, sometimes sharing technology and the Eberhardt School of Business at the university is named in honor of the family of bank President Douglass Eberhardt. UOP is also the site of a 7,000-user Tegile VDI installation, one of the company’s largest installs to date. A project committee at the bank analyzed the proposals using a weighted scoring system and narrowed the choice down to NetApp and Tegile. Lo was ready to award the contract to NetApp, which offered a new storage system with the desired IOPS performance plus the peace of mind of an established, reliable storage vendor. But the Tegile team came back with a final proposal that made the case for a hybrid storage array that leverages the performance of flash storage and the cost and capacity of hard disk drives. With Tegile’s vastly better value proposition plus the recommendation from UOP, Lo purchased two Tegile Zebi HA2100EP arrays with 16 TB each connected via 10 Gigabit Ethernet to Cisco Nexus 5000 switches. Tegile’s Zebi arrays intelligently integrate DRAM, flash and hard disk storage to create an optimized hybrid storage appliance to realize the holy grail of storage – high performance, high capacity and high reliability at low cost. It combines this unique technology approach with best in class data protection features and an extremely friendly user interface to take storage to a whole new level of usability. Lo admits that he purchased more capacity than was recommended by Tegile because he simply did not believe the company’s claims about the effectiveness of its data deduplication and compression capacity optimization technology. The bank’s IT staff calculated that it would need about 8TB to support 100 VDI instances it was about to spin up and its other applications. “But Tegile’s predictions about data reduction were right on target,” said Lo. The bank’s 160 virtual desktops and other data consumed just 3TB of capacity -optimized by the Zebi arrays – leaving ample headroom for expansion. Instead of using the more common linked clones VDI scheme, Bank of Stockton uses persistent desktop images, introducing a higher I/O load on SAN storage in a VDI install. Persistent desktops also made virus scanning more demanding and that led to a performance issue but also demonstrated Tegile’s obsessive commitment to customer service and support. a virus scan simultaneously on all desktops once a week on Saturday night when system usage was minimal. Shortly after the Tegile storage was installed Lo noticed a severe system slowdown one Saturday. While still unsure of the cause, Lo fired off an email to Tegile to let them know about the slowdown. Within 10 minutes Lo received a call back from a Tegile vice president offering to set up a video conference with a company technician. Tegile traced the problem to the SAN and immediately took ownership, ultimately identifying the cause of the slowdown as the impact of virus scanning 140 persistent virtual desktops concurrently. Bank of Stockton modified its policy and now scans one-sixth of the VDI instances each night. The experience validated that Lo had made the right call in choosing Tegile and ended any concerns about trusting his storage infrastructure to a company without the long history of NetApp or HP to the extent that the Bank of Stockton just purchased a Tegile Zebi HA2300 array to host another VDI environment at the DR site.